Apprenticeship is the gateway to most construction building trades careers. 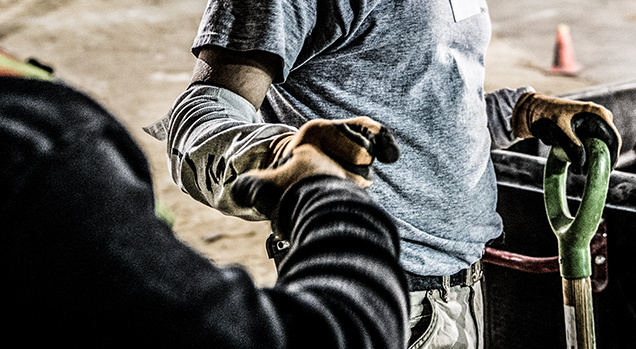 New people enter into an apprenticeship program for their chosen trade. Similar to other careers, each apprenticeship program varies in skill and time requirements. Apprenticeship is a plan. Each plan contains on-the-job work experience, classroom training, school hours, an outline of skills to be learned and the wages you will receive while you are an apprentice. Apprenticeship is a partnership between you, the union and the employer. As you progress in your plan, your knowledge and your wages will increase. Apprenticeship is the “Earn while you learn” model for post-secondary training. Why wait to start making a good living? Get to work now and save on your education costs. Most costs of training are either completely covered or highly subsidized by the union. You earn wages and benefits from the first day of your on-the-job training. You work side by side with skilled crafts persons who guide, teach and mentor you. Apprenticeship leads to a career. When your apprenticeship is completed, you will graduate into journey level status as a crafts person who is fully skilled and knowledgeable of all aspects of your trade. There will be over 25,000 job openings in the construction industry over the next 6 years. Minnesota’s apprenticeship system offers an opportunity for a person to enter the construction industry at a high-wage through on-the-job training and classroom instruction. The earn-while-you-learn system enables individuals to move to the top of the wage scale in three to five years. (The average cost of four-year state university tuition in Minnesota.). (The average cost of four-year private college tuition in Minnesota.). Caught your interest? See what career option is best for you.